Police in a Greggs bakers were subjected to an offender’s rant which was so forceful his spittle was flying into their faces. Graham Bride (41) was so enraged at being stopped and searched by officers – who recovered 0.3 grams of heroin from him – he roared at them, covering them in his saliva. 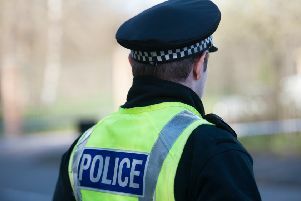 Appearing from custody at Falkirk Sheriff Court last Thursday, Bride, 226 Haugh Street, Bainsford, had admitted behaving in a threatening manner and possessing a class A drug in Lint Riggs, Falkirk, on August 25. The court heart he had consumed an “unknown” substance before the incident. He was sentenced to 80 days in prison back dated to October 18.